A Bigjigs Rail layout does not need to be straightforward, adding a few gentle curves with the wavy track can soften the line and make each play session more realistic. 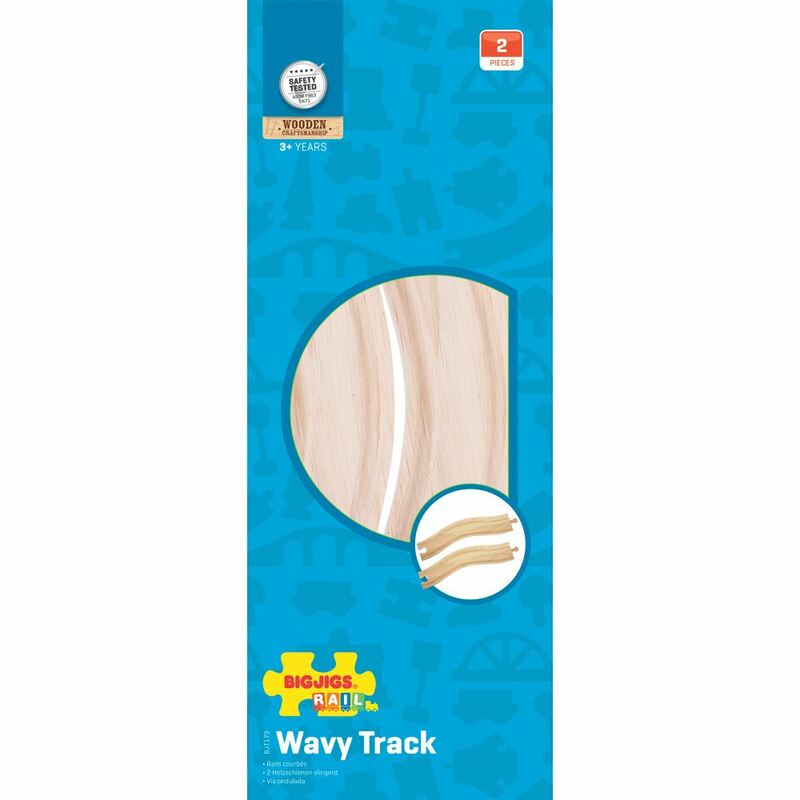 Includes: 2 wooden wavy track pieces. Age 3+ years. Compatible with most other wooden railway brands. Distributed in New Zealand by Holdson.